The Older Youth Volleyball League is geared towards learning fundamentals, competing and socialization for participants and teams. This league also offers recreation, fitness and skill development for youth seeking a fun way to stay fit and connected . 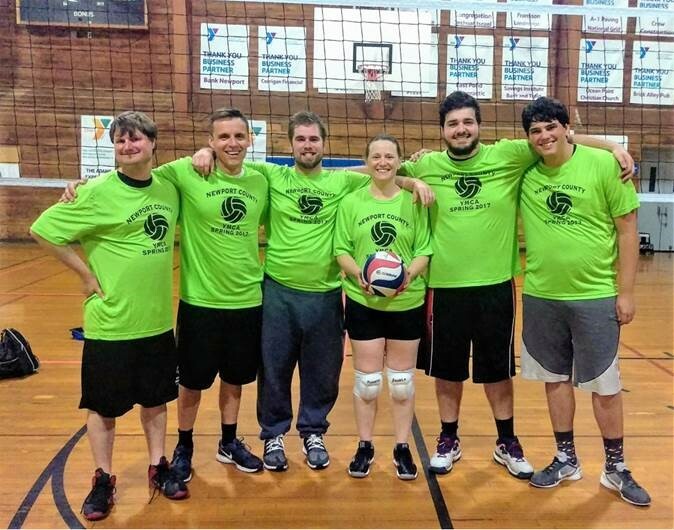 Our Adult Rec volleyball league is open to all players or all ability level. Each season you sign up as an individual and are drafted on to a team where you are able to improve your skills and meet new people. Playoffs are saved for the top four teams in the league. There are no try out needed to be in the league. Our Adult Competitive Volleyball league is open to all upper level players. Each season you sign up as an individual and are drafted on to a team . Playoffs are saved for the top four teams in the league. There are no two nights of tryout before the league begins for all new please. To have the possibly to be selected for one of the teams you must attend a tryout night.